Mosquitoes are crepuscular insects. It means they are the most active during twilight i.e. the period of dawn and dusk. Mosquitoes that consume blood are female. 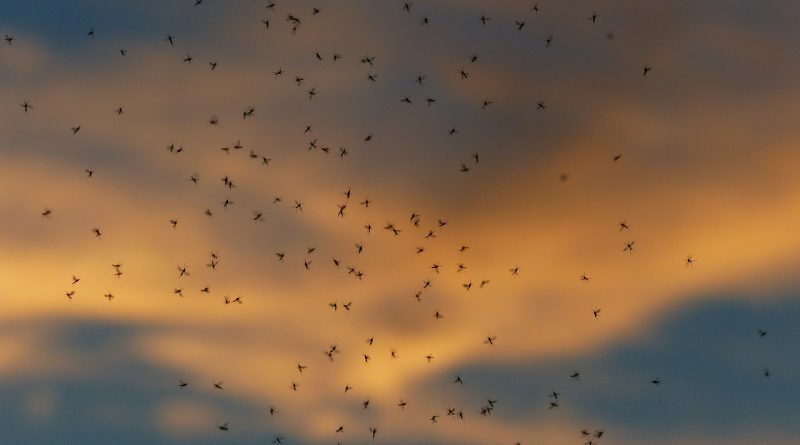 Anopheles mosquitoes enter the house between 5 p.m. and 9.30 p.m. and again in early hours of the morning. They start biting by late evening and the peak of biting activity is at midnight and early hours of the morning. Mosquitoes can smell human breath.They have receptors on their antennae that detect the carbon dioxide released when we exhale. Those plumes of CO2 rise into the air, acting as trails that the mosquitoes follow to find the source. Also, sweat help mosquitoes to choose their victim. Our skin produces more than 340 chemical odours, and some of them smell like dinner to mosquitoes. They are fond of octenol, a chemical released in sweat, as well as cholesterol, folic acid, certain bacteria, skin lotions, and perfume. The majority of mosquitoes feed around evening and at dawn. The dry heat that often occurs during daylight hours in the summer can quickly kill mosquitoes by causing them to become dehydrated. As such, most mosquitoes rest or sleep in a dark, sheltered place during the daylight hours, preferably an area that is relatively humid, such as tucked inside vegetation like plants and grass. They also can be found sleeping the day away inside man-made structures like culverts or barns, or natural shelters such as caves, holes in the ground, and holes in trees. They spend their first 10 days in water. The lifespan of a female adult mosquito is 42-56 days and for Male adult, it is 10days. By keeping the windows and doors closed between 5 p.m. and 10 p.m and again in the early morning, one can prevent the entry of these mosquitoes into the house. 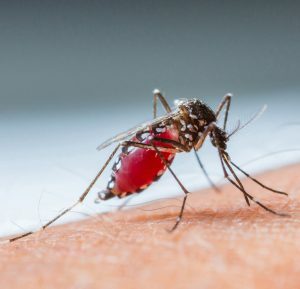 Also protect yourself against the bites in the evenings and early mornings by wearing garments that cover the body as much as possible and at bedtime, by using mosquito nets without fail.